China and Malaysia are to deepen infrastructure cooperation and discuss key projects, including a high-speed rail line. China and Malaysia pledged to cement their economic ties by promoting bilateral trade and investment amid a closer partnership. Premier Li Keqiang met with New Zealand’s Prime Minister John Key on Nov 21 on the sidelines of the ASEAN meetings, highlighting negotiations on their FTA. The cooperation on a railway linking China and Laos has been advancing smoothly and the construction will be started soon. 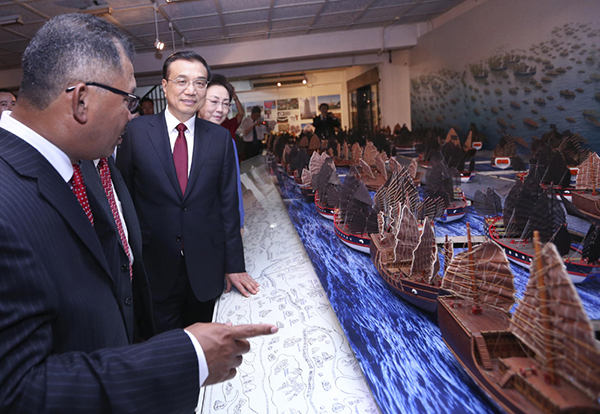 Premier Li attended the signing ceremony of the upgraded protocol of the China-ASEAN free trade agreement on Nov 22. Leaders of Regional Comprehensive Economic Partnership (RCEP) member states have urged that prolonged negotiation should end by next year. 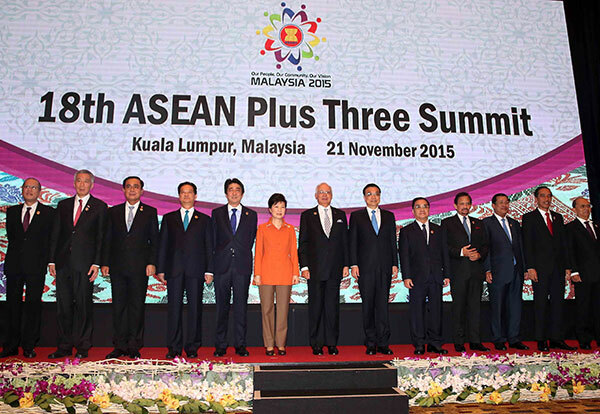 The 27th ASEAN Summit announced the ASEAN Community will get established on Dec 31, which will be the first sub-regional community formed in the continent. An upgrade to the China-ASEAN free trade area is expected to provide fresh impetus for the economic development of China and the Association of Southeast Asian Nations. 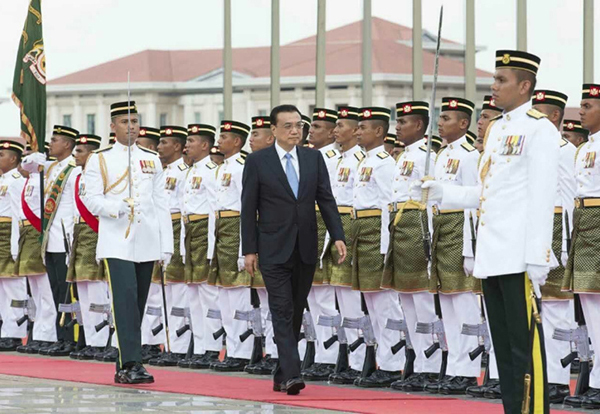 Premier Li Keqiang will attend a series of East Asia meetings and pay an official visit to Malaysia from Nov 20 to 23.